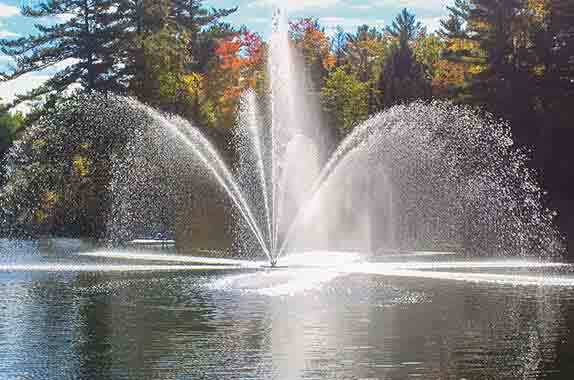 120 and 240-volt single-phase power are two of the most common voltages available for lake or pond fountain power. This is generally what is available in nearly all residential properties. 240 volt is marginally more efficient but the main advantage is that your wire size is substantially smaller when compared to a similar rated 120-volt unit. The smaller wire size can result in savings on your fountain installation.